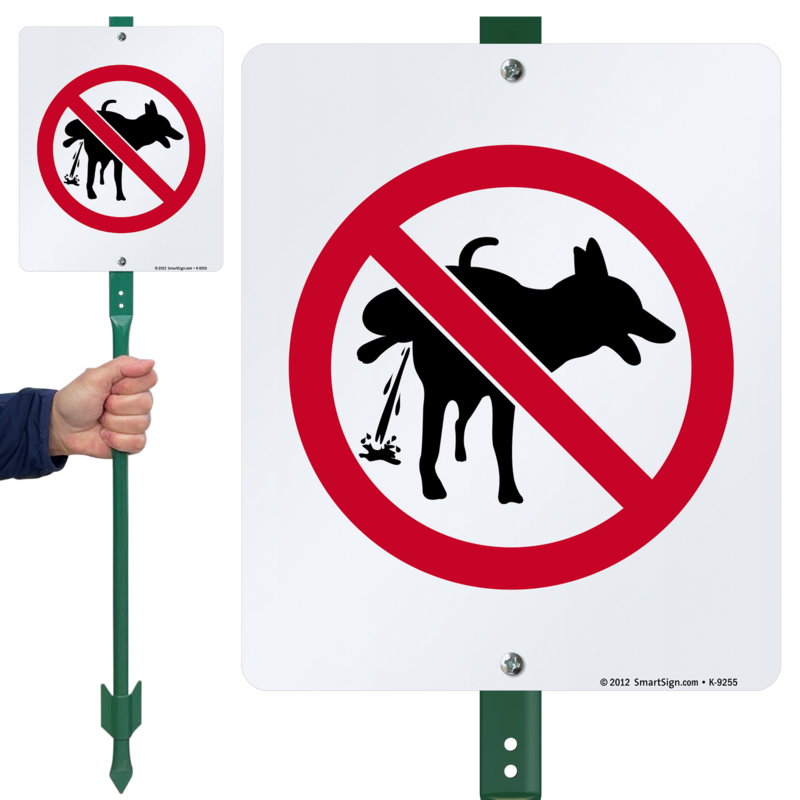 Inform pet owners that they cannot let their dogs pee on your property. 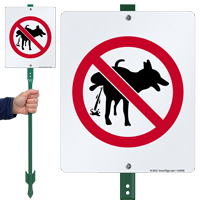 • Sign with graphics clearly communicates the intended message and saves your property from becoming a pet waste ground. • Sign is attached to a 3' tall stake with flang and is incredibly easy to install.